Due to its size, a plot of land under five acres is often not useable to grow crops such as wheat or corn, which require planting in large volumes to be profitable. Farming choices on a small acreage will depend on the layout of the land, the climate, soil, availability of labor, and personal preference. Growing trees can be a good way to utilize small plots of land. Seedlings can be planted and harvested when small or harvested years after planting, when they reach maturity. Trees can be used for transplant or for sale. A good water supply, whether in the form or rainfall or irrigation, is required. Planting trees that are native to the area and considered zone-hardy will produce the healthiest crop. Trees grown might include evergreens, Christmas trees, fruit trees, deciduous ornamental trees or shrubs. Raising free-range chickens for personal use or for commercial sale is a good way to utilize a small piece of land. Suitable fencing and enclosures are required to contain the birds and to protect them from poor weather conditions and predators such as coyotes or stray dogs. Chickens can be used to produce eggs as well as for meat. 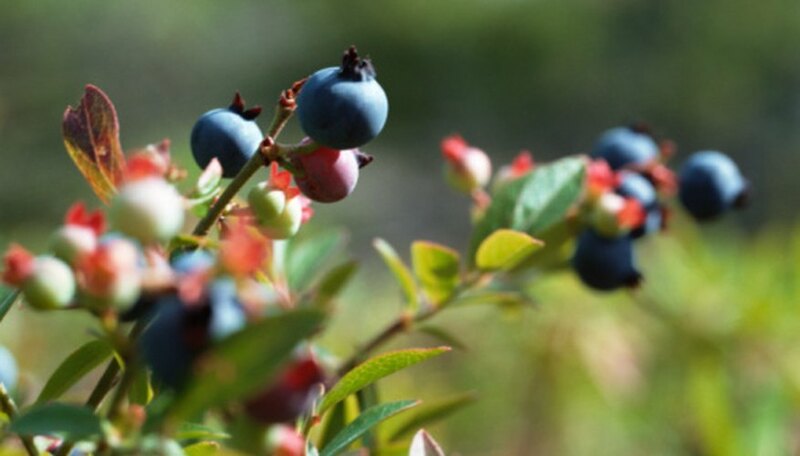 Berries can be grown abundantly in rows, so they are ideal for production on a small acreage. The type of berry grown should be suitable for the climate and hardiness zone as well as the type of soil on the land. Berries that may grow well include raspberries, strawberries, blueberries, gooseberries or saskatoon berries. Berries can be harvested for sale at a farmer's market, as a u-pick operation, or picked and made into jam and pies. A community vegetable garden may come in different forms. Some growers use them to support local community organizations such as food banks or churches. Often using volunteers, the produce is grown and harvested, and is then donated to these organizations. Others divide up the land and rent small plots to apartment dwellers or others who do not have a yard available in which to plant vegetables. Each renter plants, maintains and harvests their own garden. Other growers may produce vegetables for sale at local farmer's markets or roadside stands.